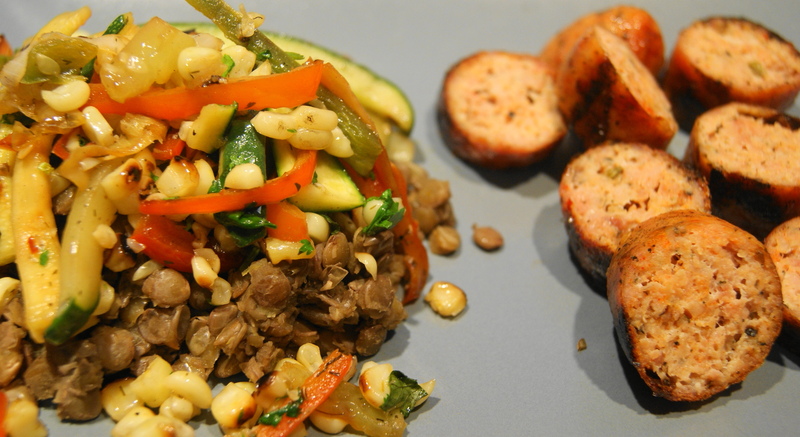 Posted on August 7, 2012 by Dad Can Cook	• This entry was posted in Recipes and tagged chicken sausage, cook, cooking, cucumber, food, green lentil, lentil, onions, peppers, recipe, sausage, what to cook?. Bookmark the permalink. I should never type while I am drinking wine. Thanks. The cucumber was very similar to the zucchini. Not bad. I point one out then I make one hahaha… that should be lentil not lientil… lol… I’m rubbish at my own game I guess.